CHIMICHANGAS!!! 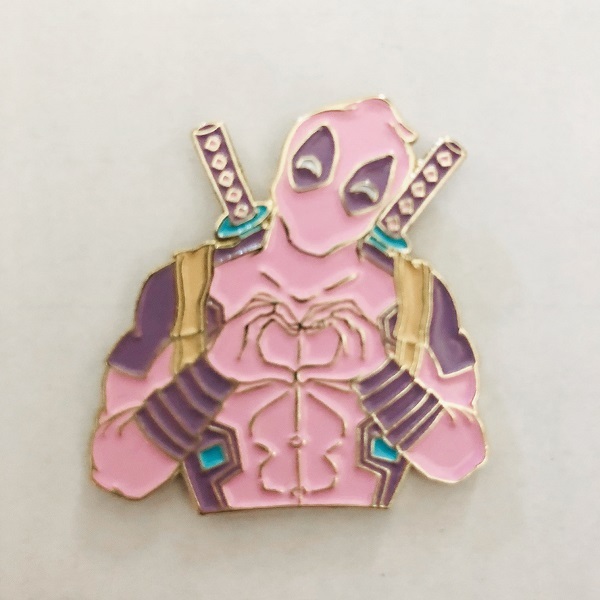 Kawibi Pastel Pink I Heart U Deadpool Pin is a soft enamel gold plated pin that comes with two rubber backings. It is approximately 1.50". 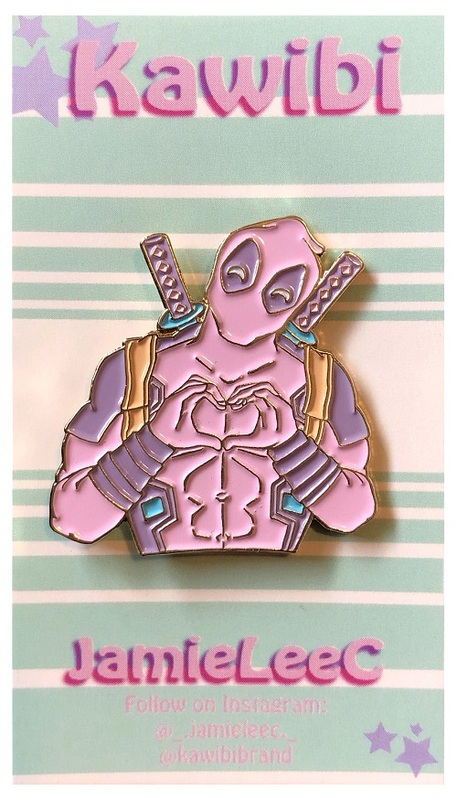 Kawibi is a side project from the mind of Jamie Lee C which will feature more pastels and cuteness to allow Girls and Women to flaunt what they love! Think of it as a bottle of testosterone dipped in a nice warm bath of pastel rainbows and unicorns!